The Muy Gordo 10' or SUP - Goosebay Sawmill and Lumber, Inc. The Muy Gordo has the same basic measurements as the Gordo, its just a little more volume. And more volume means better flotation. 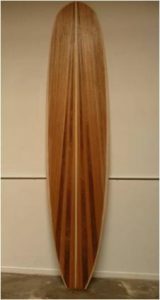 Catches waves easily and can even be used as a smaller Stand Up Paddleboard. You’ll catch waves easier than you knew was possible. This Kit contains a complete frame consisting of ribs and main spar (stringer). Also included is an assembly manual with over 160 color illustrations. It covers everything from laying out the frame to glassing and installing fins.